I was so excited to be photographing Chris and Katie’s wedding at Rivervale Barn which is on the banks of the river Blackwater in an idyllic location. Having worked at this impressive barn on the Hampshire and Surrey borders before I knew it was going to be a great day. When I first met Chris and Katie for a pre wedding shoot I could see how much love and warmth they had for each other. They were both super relaxed and fun to work with. I wasn’t surprised then to find Chris and his fellow groomsmen in a chilled and relaxing atmosphere at the barn checking over last minute details before the wedding guests arrived. It wasn’t long before Katie arrived with her father and bridesmaids looking absolutely beautiful. 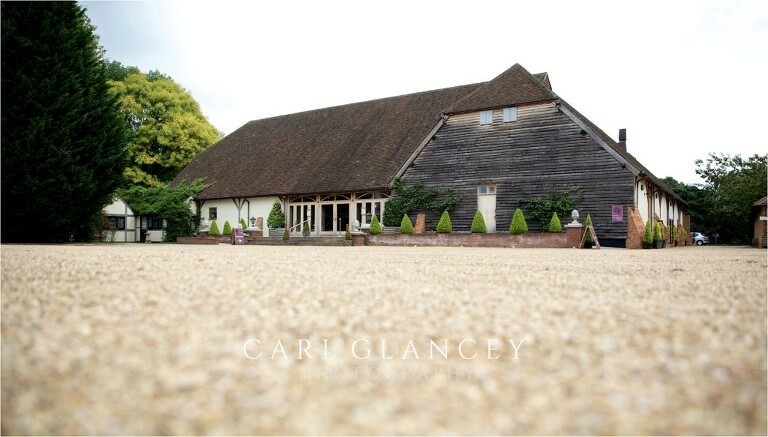 Rivervale Barn is a traditional english barn with stunning interiors with plenty of natural light and is perfect for a wedding ceremony. It was the first time I’d seen Chris look slightly nervous before Katie walked down the aisle. It wasn’t long before a huge smile appeared on his face though as he caught site of his stunning bride. A lovely romantic atmosphere was created by a stunning harpist which really added to the mood of the occasion. 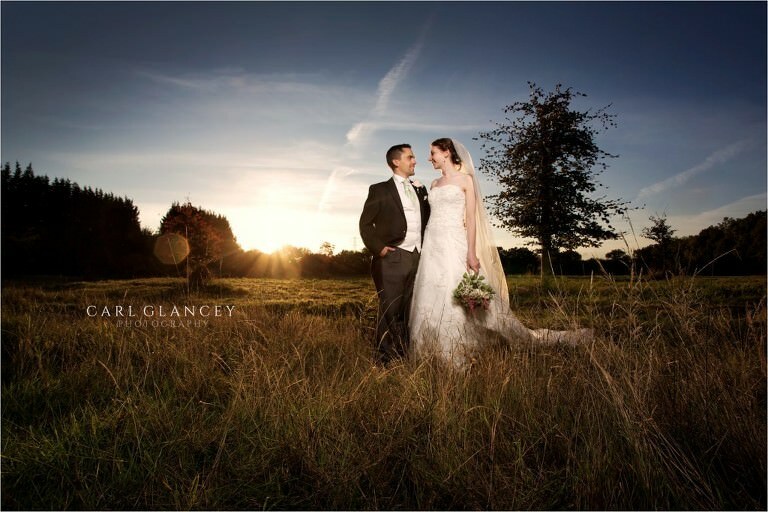 You are spoilt for choice at Rivervale Barn for photo locations. 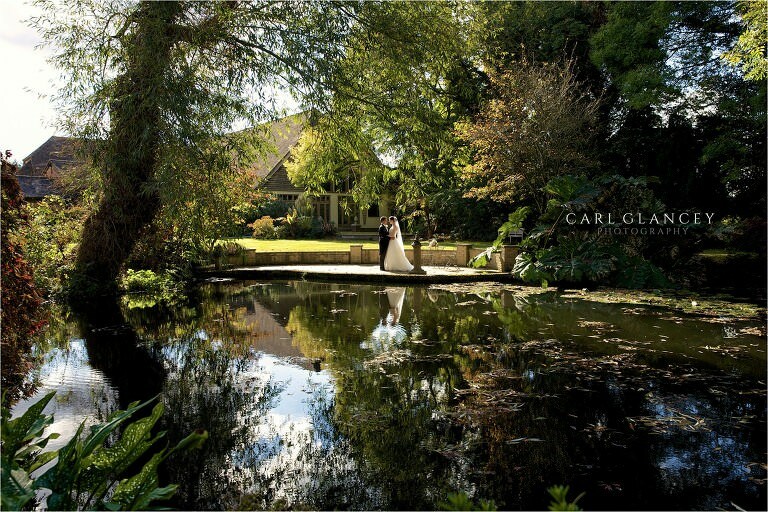 There is an enclosed courtyard and landscaped gardens not to mention a stunning lake for you to use for your wedding photos. I took the newly married couple off for a walk of the venue to capture some priceless memories which will help Chris and Katie remember this great day for many years to come. The food for the day was provided by the amazing Galloping Gourmet who really do know how to serve up some delicious wedding food. We were treated to an amazing sunset after dinner and speeches which was a great end to the formalities and signalled it was time to get the evening celebrations started. 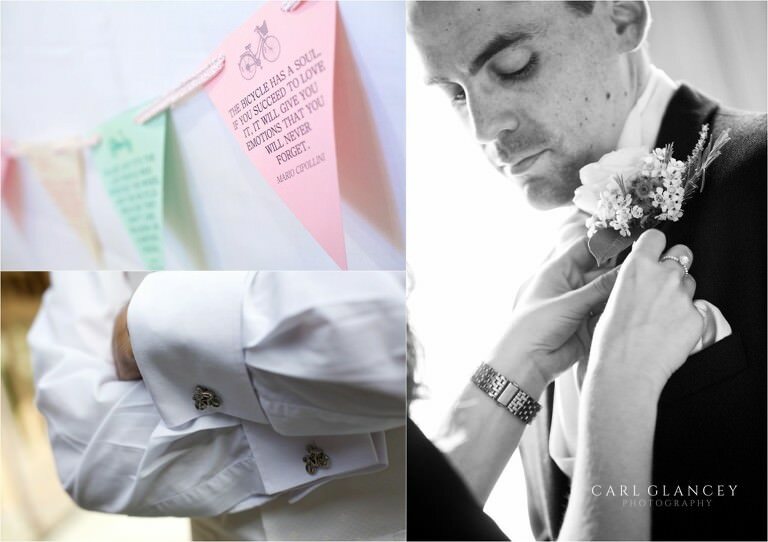 Thanks to Chris and Katie for inviting me to photograph their special day, it was a real pleasure. Here are some of the wedding photographs from the day. If you are getting married and looking for a Rivervale Barn wedding photographer then get in touch to see if I’m free for your wedding day.